A planning application has now been received by the Council for the former nursery site on Lyham Road. The proposal is for three three-bedroom and one two-bedroom homes. The houses will be sold commercially but there is an expectation of additional community benefit via Section 106. These plans were displayed a few weeks ago by the developers at the Methodist Church on Lyham Road. 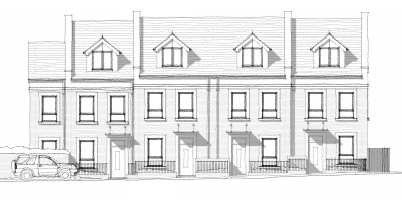 The plans can be viewed, commented upon or objected to on the Council’s Planning website. This entry was posted in Blog and tagged Blenheim Gardens Estate, Lyham Road, planning by Martin Tiedemann. Bookmark the permalink.